What Would the Horse Do? Rob, Rosemary, and Alistair’s Teaching Session is no longer active. Rob is the only Advanced Dual Certified EAGALA facilitator in New Zealand. Rob came to this work by following a vision he experienced on a traditional Vision Quest in the desert near Big Bend National Park, Texas. It led him to gentle wild horses at Lifesavers Wild Horse Rescue in Lancaster, California and as a volunteer for the US Bureau of Land Management. 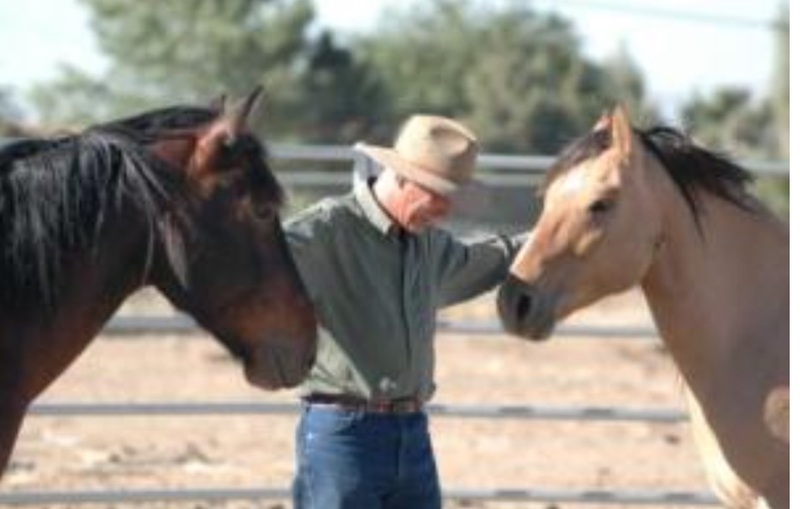 At Lifesavers Rob witnessed and then helped guide the profound and spontaneous healing occurring between wild horses and clinic participants there to learn gentling. He then coupled his vision with training to become an EAGALA professional, going on to found a program at Lifesavers and assist in several including Big Heart Ranch in Malibu and Spirit of Leadership in Novelty, Ohio. He has worked with a diverse group of clients including county high school programs with youth-at-risk, the Amish and Mennonite communities, the Israel Defense Forces, and the clients of Dune Lakes Lodge and Equine Pathfinders. Rob has deepened his experience as a human-being-man with Michael Meade, Malidoma Some, and Southern Ute and Mescalero Apache teachers. His MSSA in Clinical Social Work and licensure as an Ohio social worker allow him to work clinically as well. He has also completed the Graduate Training Program of the Gestalt Institute of Cleveland, and Dr. Herb Stevenson’s Gestalt Coaching Intensive. Rob’s intent is to honour all horses and humans on the planet with his work, allowing them to discover and share their strengths and set free the deep, loving wisdom that exists in their partnership. He is on the board of The Cloud Foundation, and has begun multicultural peace work with horses and peace-building organisations in Israel. When not working or playing with horses and people you will find him running in the hills of Dune Lakes Lodge which overlook the Tasman Sea. Check Rob and the herd of two- and four-legged facilitators out at the Dune Lakes Lodge website.